The Petforu’s Levitation Globe is really quite interesting. It’s one of those decoration pieces that you can stare at for hours without getting bored. The gadget is made from ABS Plastic and it comes with a US AC/DC Plug. The black base of this electromagnetic product contains the electronic components which makes the ball float. The dimensions of the globe are great; large enough to get noticed but small enough to fit on the corner of your desk. 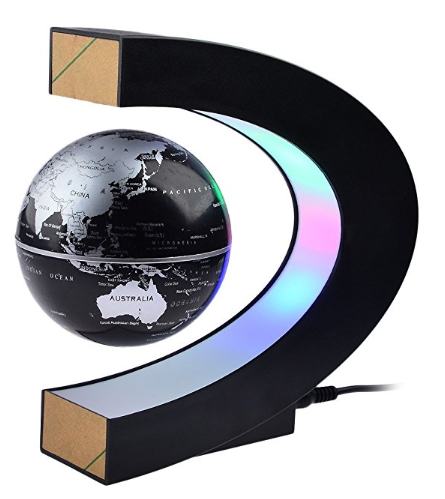 Basically, it’s a magnetic globe which levitates steadily for 24 hours, all through the year. If you turn the lights off, the LED feature will take this design from amazing to out of this world!